Hope you guys had a great Halloween! We never even made it to trick-or-treat at any houses... HDawg was too enamored with the act of giving out candy at our house! He pretty much handed out every piece... one by one... of three 3 lb. bags of candy. Needless to say, the baby chicken handing out candy was a hit! Everybody loved him. So we camped out on our front porch and had a ball. On this rainy, cold Friday morning, I've got a few things on my mind. I can't even believe it, but my sister's wedding is only two weeks away! Even though she's a busy teacher, she's in full-blown wedding prep mode. And I'm excited to help- she's coming over this weekend so that we can finish up lots of fun wedding crafts! Just in case you've missed some of the fun along the way, check out her amazing engagement story, some of our wedding planning fun and the backyard BBQ themed couples shower that I threw for her a few weeks ago. 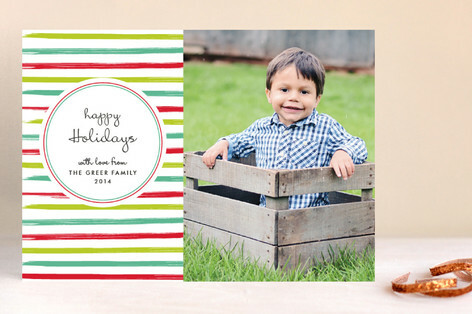 You've only got until midnight on Sunday evening to enter to win $75 to minted.com for your holiday cards! There are a few easy ways to enter... head on over here to check out the different ways to win! I'll announce the winner on Monday. 3. 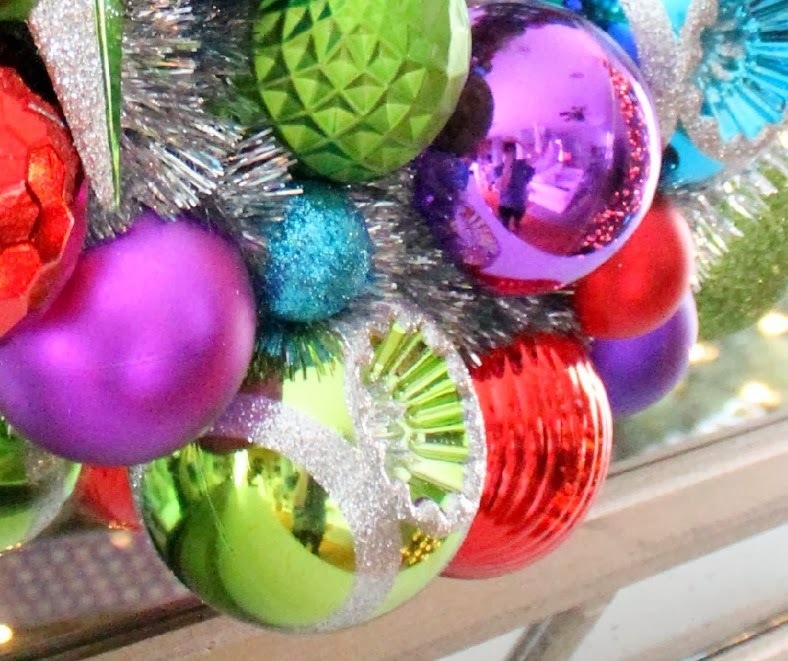 Home Depot Holiday Style Challenge. I'm so excited to be a part of this amazing group of bloggers participating in the Home Depot Holiday Style Challenge this year! I wrapped up my Christmas themed post last weekend and can't wait to share details with you! And just because I love ya, here's one tiny sneak peek. 4. BabyCenter article. Check out my weekly post on BabyCenter right here! This week, I'm sharing the play by play tutorial on my DIY felt magnet aquarium board. It'd be a great Christmas gift for the toddler in your life... just sayin! I can imagine a tiny chicken handing out candy would be the cutest thing EVER. love it!! I love your magnet board- hmmmm, I might just have to make one for B for his birthday/Christmas. It's too cute not to! I have been trying to figure out what to do for him (since he's ALREADY getting presents in the mail for his birthday/Christmas) and this idea might just be the ticket! Thanks!! So excited for Tori and can't wait to see pictures!!! Also can't wait to see the Home Depot Challenge. Woot! 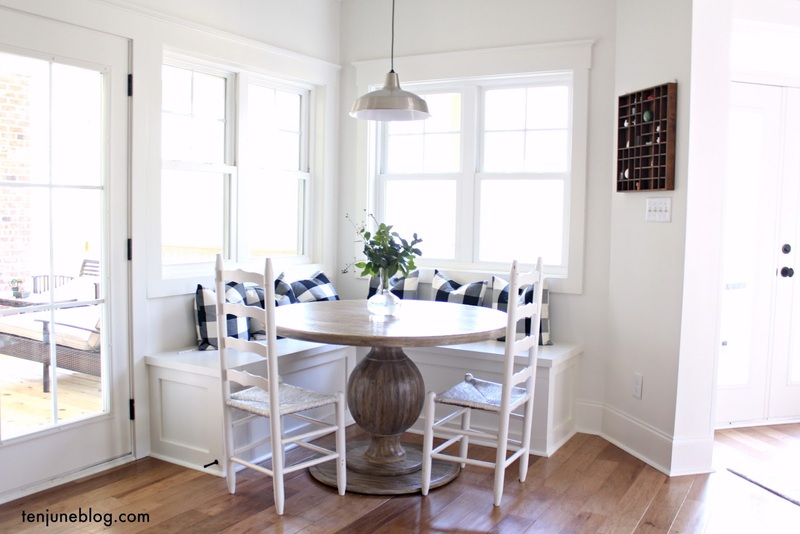 Just stumbled across your blog - and I'm loving it! Good luck with your Home Depot challenge! So cute that h dawg handed out candy! Blair was enamored with trick or treating!